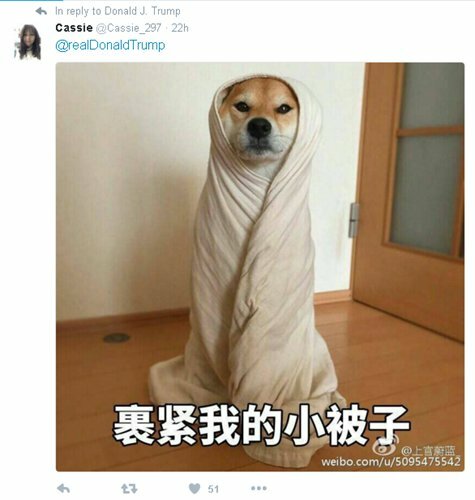 Comments and stickers mocking US President-elect Donald Trump's Twitter-diplomacy have flooded his tweet pages, after Trump accused China of its seizure of a US navy drone and claimed that the US didn't want it back. The outspoken president-elect once again risked inflaming US relations with China by tweeting on Saturday that "China steals US Navy research drone in international waters." In his second tweet on Saturday, the president-elect said that the US didn't want the drone back and should let China keep it. His comments came a few hours after China said it has decided to hand over the US underwater drone it captured in its waters to the US in an appropriate manner. His second tweet has received 16,000 comments and been reposted for 33,000 times as of press time. Lots of the comments are from Chinese netizens who berated Trump for his scant knowledge of diplomacy and got some laughs by posting comments and stickers on his tweet page, even though the Twitter site is blocked in the Chinese mainland. Many Net users responded to Trump by saying, "Thanks for your Christmas gift! Chinese love you. Merry Christmas." A comment even reads that "Wow, you are really an amazing fool who governs the whole country through twitter." Some Net users posted a series of stickers to express their love for China, in which a panda, dressed like a human, salutes the Chinese national flag and sings the national song. One of the stickers shows a comic panda singing a song with the subtitle reading "what can I do, what can I do, I eventually have to forgive you like a father." 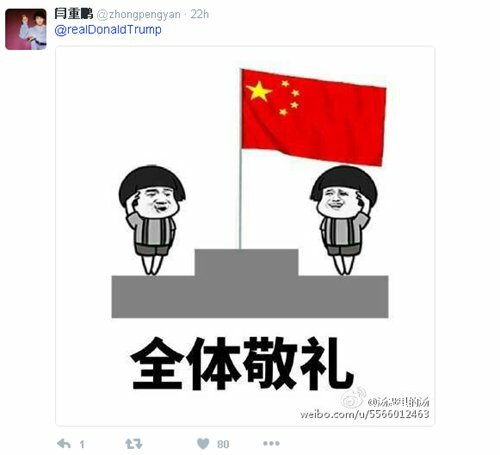 Another Net user satirized Trump by posting a picture of Lei Feng, a Chinese role model for selflessness, reading a book. The cover of the book reads "how to play with a fool." Moreover, a Net user posted a snapshot of Trump attending the Jimmy Fallon show in which the television host touched Trump's hair with a smile. The subtitle of picture reads, "Let me see if you have brought your brain with you." 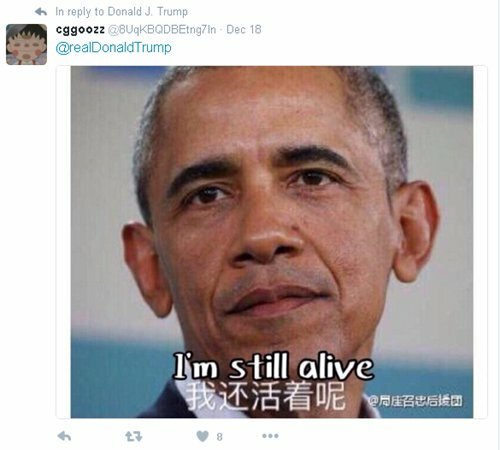 Besides, Chinese netizens have frequently posted a portrait of US President Barack Obama, in which he says "I am still alive." 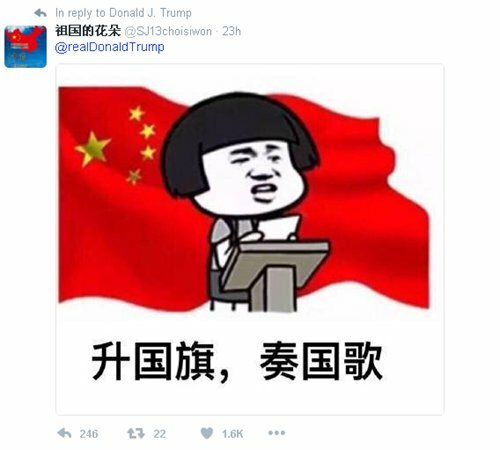 While Chinese Net users were immersed in their talent of mocking the president-elect, many US netizens also joined the hilarity. A netizen asked, "Hey, China would you please steal this drone? We don't want him back." Another posted a photo of a crying woman, with the caption reading, "God please, save us from all the stupid republicans." A Net user even ridiculed that "I would rather a drone was elected as president." Online polls had shown that most Chinese people preferred Trump to Hilary Clinton during the campaign as the latter was believed to be more anti-China, but his unrestrained tweets have angered many in China, especially his comments that questioned one-China policy.